We’ve been working with Silverstone Woodlands for nearly a decade, helping grow spend per head year on year. At this year’s Formula 1, we dispensed over 50,000 pints of beer in 5 days from 8 bars spread across the 220 acre event site. Logistics are crucial to the bars’ success with over 100 bar staff across the site and opening hours of 10:00 to 02:00 the following morning. 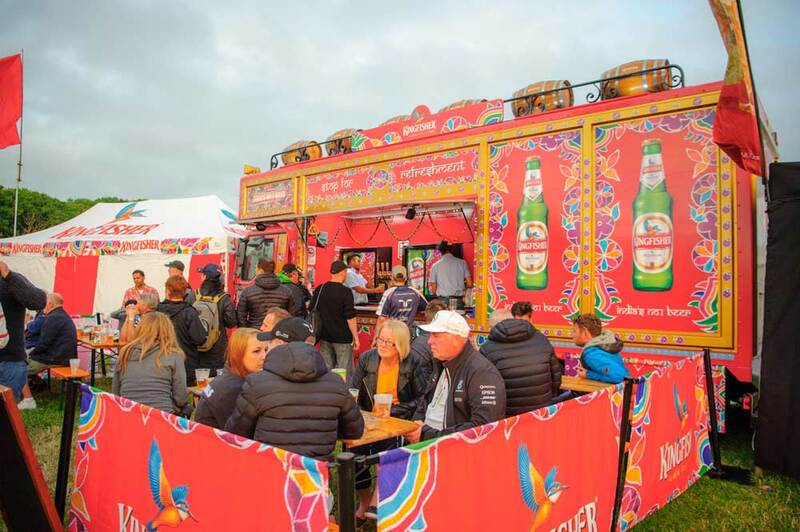 With sponsorship being a huge part of Formula 1, we worked with international brands to activate their products on-site: Carlsberg, Johnnie Walker, Erdinger, Kingfisher & Brooklyn Brewery to name a few. In the early days, we transformed an agricultural barn into an old English pub which, today, provides over 100 casks of ale to customers throughout the F1 weekend.